The 3rd Saturday of September through the 4th Sunday. Works of art by the more than 40 ARTrails artists will be on display at the Exhibition Gallery from 4 to 8 p.m.
You can view the Studio Guide online, pick one up at the Exhibition Gallery, or obtain one from any of our sponsors and advertisers. If you are using the Online Studio Guide, be sure to print a copy of the map. Each artist is represented in the studio guide with a photograph of their work and the location where they will be showing. Each studio is unique and will be an experience all its own. When you see artwork that you like, note the artist’s Studio Number that corresponds to the artist’s studio location on the map; several studios host more than one artist. There’s something for everyone on ARTrails! 3. 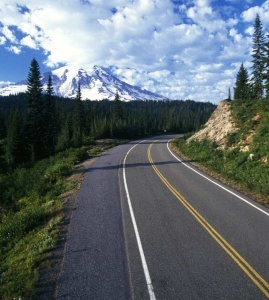 Travel the Roads of Southwest Washington! 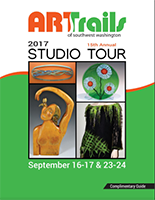 Pack up your family and friends and discover the scenic beauty of Lewis County along with the rich variety of Southwest Washington art. This is your chance to meet working artists and learn more about how they create their art. 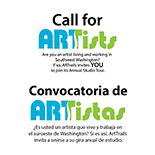 Several studios offer the chance to make your own art or to participate in a community art project. You can watch the artists at work on their various projects. 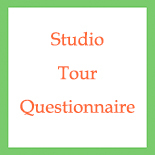 All studios offer unique artwork to purchase for your collection or for gifts. 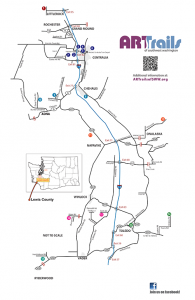 Given the number of artists and studios and the many things to see and do in Lewis County, we recommend that you plan on staying the weekend–or even the entire week. Make your reservations early and, when you do, let them know you are coming for ARTrails! Our best advertisement is YOU! Thanks for sharing your enjoyment of the ARTrails experience with others. 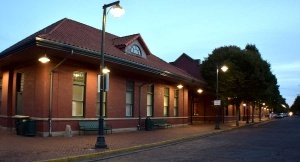 Although ARTrails happens only once a year, many artists open their studios by appointment throughout the year. Keep your catalog for reference or pass it on to a friend.